Drs. 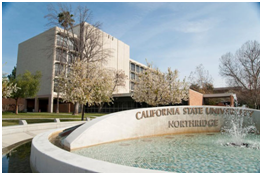 Jasvant and Meera Modi of Los Angeles signed the documents to establish the Bhagwan Ajitnath Endowed Professorship in Jain Studies at California State University, Northridge. More details are given below. 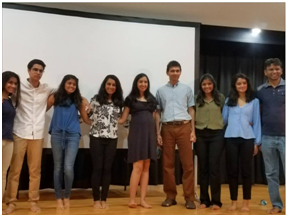 Recently, youth of Jain Society of Greater Detroit organized an event - JOY Talks at Farmington Hills. Various speakers talked on topics like setting goals, overcoming challenges etc. More details are given below. Q 1: Who is Upaddhyay? Q 2: How many attributes does an Upaddhyaya have? On the auspicious day of Guru Purnima, Drs. Jasvant and Meera Modi of Los Angeles with a gift of $800,000 signed the legal documents to establish the Bhagwan Ajitnath Endowed Professorship in Jain Studies at California State University Northridge. Modis are the big philanthropists; particularly to promote Jainism in gnan mandirs (temples of learning) at colleges and universities in USA. So far, they have been instrumental with their big donations to establish Bhagwan Parshvanath Chair at University of California in Irvine, Bhagwan Mallinath Endowed Professorship at Loyola Marymount University, Bhagwan Vimalnath Lectureship at University of California in Santa Barbara, Shrimad Rajchandra Chair at University of California in Riverside and Bhagwan Mahavir Post-Doctoral Fellowship at Rice University and several other such initiatives. Hopefully More to come soon. 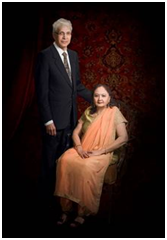 Dr. Jasvant Modi is the current President of the Jain Center of Southern California, Los Angeles. Jain Community is grateful to Modis for their vision, dedication and support to the causes that eventually will help in sharing the wisdom, richness and philosophy of Ahimsa, compassion, multiple perspectives and practices of non-attachment with Jains and non-Jains too. 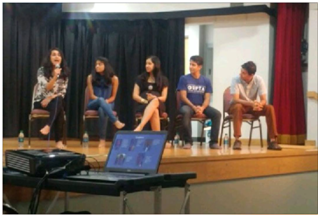 On July 29, JOY at Jain Society of Greater Detroit organized an event — JOY Talks at Farmington Hills, MI where various speakers talked about topics related to setting goals, overcoming challenges, learning from their past mistakes, and using the challenges they've faced to strengthen. It was followed by a short panel discussion where the speakers answered to the questions of the audience and program ended with snacks. 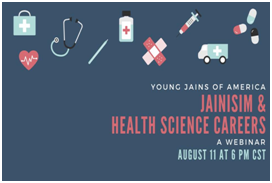 Have you ever wondered how professionals in the field of health sciences balance their Jain values with many of the ethical dilemmas that arise on a day-to-day basis at school or in the workplace? Join YJA, as they explore several questions regarding these ethical dilemmas and hear from panelists about their experiences who are entering this field. Panelists will include several young professionals and students in medicine, optometry, pharmacy, and research. The webinar will be streamed live at yja.org and on Facebook. 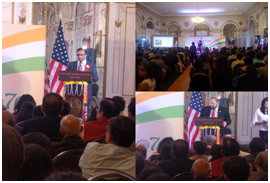 On May 6, 2018, YJP New York met with the Consulate General of India in New York and attended its first Mahavir Jayanti celebration held in the United States. The event was attended by many prominent members, including YJP Advisory Board member Rajeev Pandya, YJP Co-Chair Sagar Khona, and guest speaker Dr. Long, who is an expert in Jainism and has written the best selling book on Jainism. This event have opened many new roads and opportunities for both YJP the Jain community as a whole. A 1: Upadhyay is a sadhu who have acquired complete knowledge of the jain scriptures (Agams) and philosophy. They teach jain scriptures to other ascetics and lay people.